Over time, plastic headlamp become yellowed and tarnished, making them less transparent. The consequence is a reduction of light intensity which means less visibility at night. This can be dangerous and can lead to vehicle inspection failure. 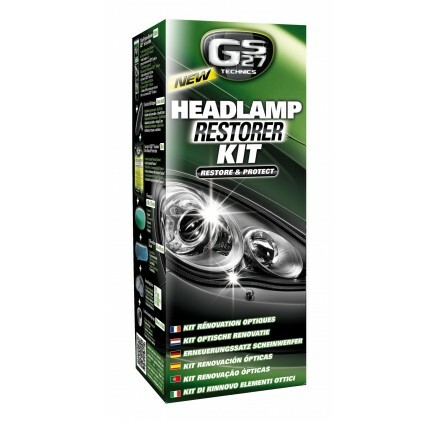 In an answer to these problems, GS27 has created the new GS27® Headlamp Restorer Kit. 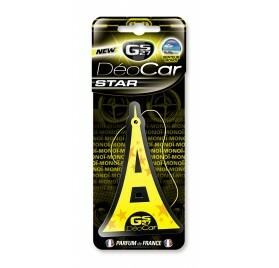 A simple, rapid solution for restoring your headlamps original shine and transparency. All you need is a kit, a standard drill and a few minutes of your time. 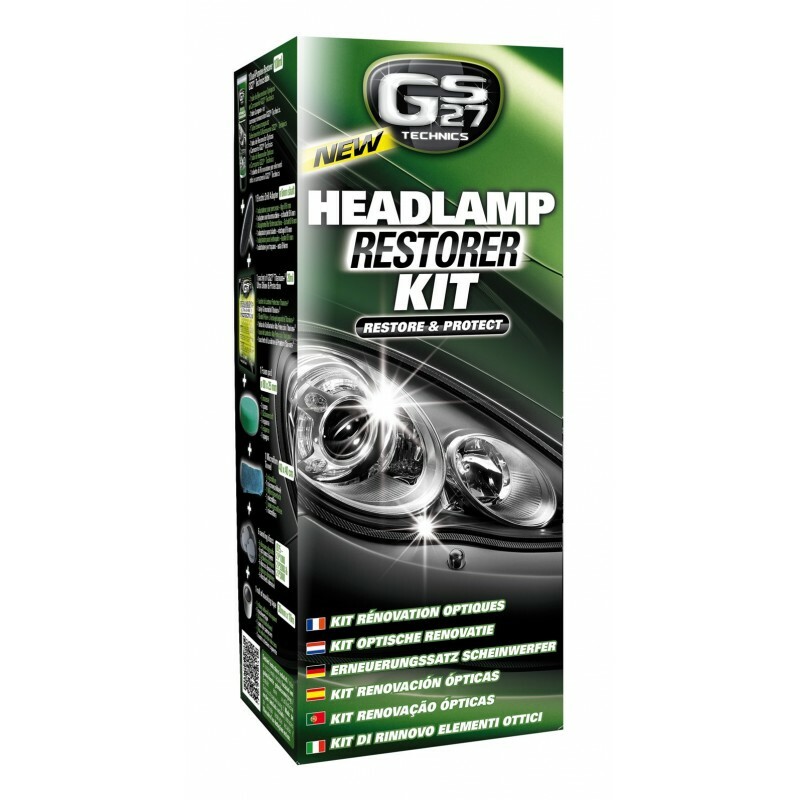 This comprehensive kit contains a roll of adhesive masking tape, a drill adapter, 6 sanding discs, a foam pad, a tube of headlamps and bodywork repairer cream, a sachet of Titanium+ Ultra Shine & Protection and a microfibre cloth. The original shine and transparency of the headlamps is very quickly and easily restorerd. With this product, you earn 20 loyalty point(s). 20 point(s) = $1.00. 1) Carefully protect the bodywork round the headlamp with masking tape. 2) Insert the adapter stem into the drill chuck. 3) Fix a sanding disc on the adapter. 4) Wet the headlamp with a sponge and then dampen the surface of the abrasive. 5) Start the drill and sand the headlamp. Proceed in large circular figure of 8 movements. Check regularly that the headlamp is not heating up. If the headlamp heats up, stop immediately. Sanding should not exceed 1 minute per headlamp. 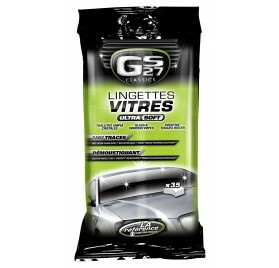 6) Wipe the headlamp with the microfiber. 7) Remove the sanding disc from the adapter. 8) Fix the foam pad to the adapter.